I don’t know if I’m doing this mom thing right. We won’t always call a friend and admit it, and often there’s no input. We don’t get annual reviews to let us know how we’re doing or any way to measure if we’re doing it right. Most of what we learn is a patching of experience, peers, and reading. But I hear it time and again from so many moms wondering if they’re doing enough. Feeling scared to screw it up. Afraid of judgment. Carrying a mixed bag of loving motherhood, but secretly missing their old lives, pre-kids. Guess what though? It’s normal to feel this way. 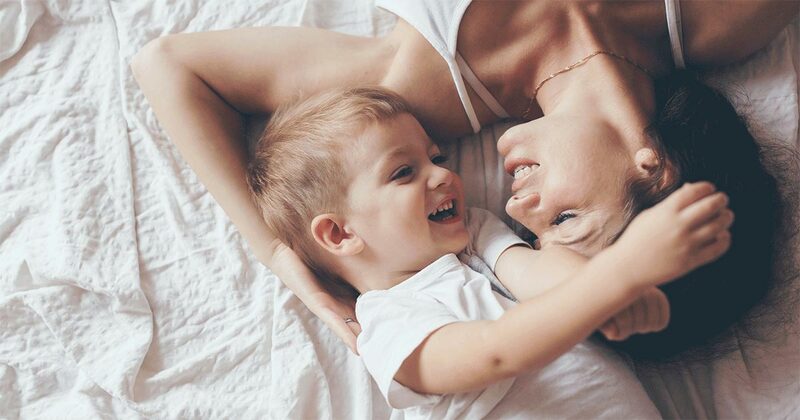 We think of motherhood like a goal—something to strive for and “achieve.” Instead, the qualities of a mother aren’t outward and achievement-based. Rather, it’s so rooted to who we are within. We shouldn’t aim for perfection, but instead, develop traits that create healthy relationships for ourselves and our kids. Motherhood is a journey, one where we can develop the kinds of traits in ourselves we’d want to see in our kids. With patience, we’re less likely to yell, lose our temper or say things we might regret, especially when it’s crunch time in the morning and we all need to get out the door. That’s why patience is key when it comes to motherhood. You’re also more likely to accept your child’s behavior, from taking forever to put on his shoes to testing his boundaries. Patience helps you remember that taking forever or testing boundaries isn’t outright defiance—it’s part of his normal development and his yearning for independence. Take breaks! When I feel myself getting frustrated, I’ll tell my boys, “Mommy needs space. 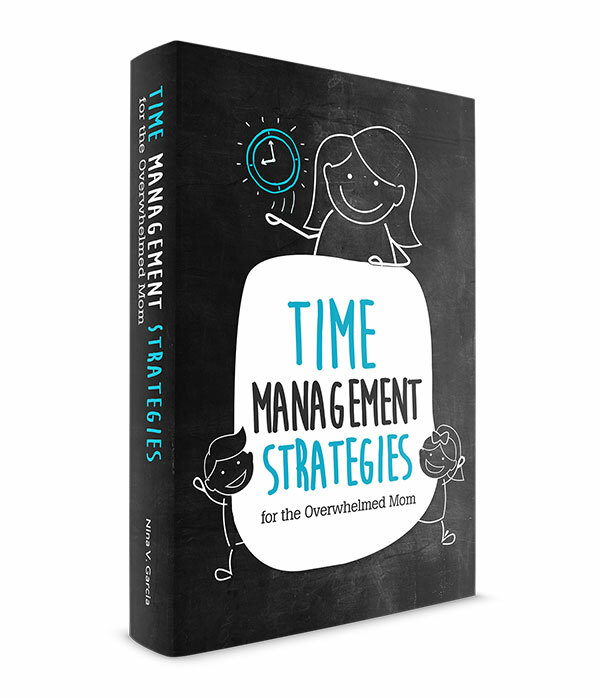 I’m going to have a five minute time-out in my room, and then I’ll be right back!” It beats the alternative: getting frustrated and losing my temper, then feeling guilty about yelling. Slow down. Take it easy. It’s okay not to get everything done this second. Putting so much on yourself causes unnecessary stress. And be kind to yourself—it’s not the end of the world if you don’t get those bills paid/dishes washed/bed made this instant. Practice how to respond calmly. We’re not so snappy with our spouses, friends, or co-workers because we use a filter when we communicate. Why should we behave any differently with our kids? Read more about how to be a patient mom. Motherhood takes an emotional toll on even the strongest women. Fueling your inner strength and being the rock your child can rely on become even more important than ever. Your child needs you to reassure his fears and anxieties, to be the one steady constant that will make transitions less worrisome. He needs to know he’ll always have a place to go for comfort. You are the steadying force in this often chaotic, confusing world. So, how do you find strength to be there for your child when you barely have enough for yourself? Be calm and reasonable. In times of crisis, don’t freak out. The other day, I was stuck in our apartment elevator with my son. I knew it happened from time to time, but feeling trapped was still not a good feeling. If I had been alone, I would’ve had a full-on freak out: elevated heart beat, sweaty palms, feeling helpless. But I knew I needed to be strong with my son right next to me. My mind went straight into logic mode, and I ran through the steps to get us out of there. I pushed my worries and fears aside so that my son would know we were okay—that this was nothing to worry about, and that we’d get out (and of course we did). We’re not infallible, so we shouldn’t try to behave like we are. There’s nothing worse than letting pride get the best of you. Kids need to know that adults make mistakes too. Have you ever tried to cover up something you did because you were embarrassed of letting your kids see? Let them see! We can’t expect kids to own up to their own mistakes if we never do so to ours. We need to model how to make mistakes. Be gracious and humble, and your kids will too. Apologizing respects children, just like you would any other adult. They’re owed the same decency and respect you’d give anyone else. In fact, it’s even more important that they’re given respect, because then they’ll be able to give it to others. Humility is a gentle reminder that we’re on a path of lifelong learning. In yoga, teachers will often call the art of yoga a “practice” because that’s just what it is—you practice until you improve. It takes humility and grace to get better. In the same way, practice humility and grace with yourself along this journey of motherhood. Don’t boast. Have you noticed, the more people are good at something, the less likely they are to brag about it? Boasting makes you look silly and less pleasant to be around. Apologize for your mistakes. This is a hard one. Swallowing your pride and saying you’re sorry can be difficult, especially with our own kids. But it’s worth it when you think of the example you’re setting for your child—and the kind of person you want him to be. Don’t always try to be right. It’s easy to get into power struggles with our kids when we insist on “winning.” Learn to see your child’s point of view and stop thinking of who’s right or not. The definition of “empathy” is: the ability to understand and even share what other people must be feeling. Responding to your child with empathy makes you wonder why he behaved the way he did instead of launching into full-on discipline mode. Empathy means you’ll both be on the same side, rather than two people on opposite pages. This isn’t a battle to be won—you’re both on the uphill journey of helping your child learn. Ask why your child is behaving this way. Chances are, an underlying reason you haven’t even thought about is lurking beneath. Think of what he must be feeling and put yourself in his shoes. Would you have behaved the same way if it were you? Validate your child. Show or tell him you understand what he must be feeling. Often we just want to be heard—it’s no different with your child. Want to learn more about empathy? 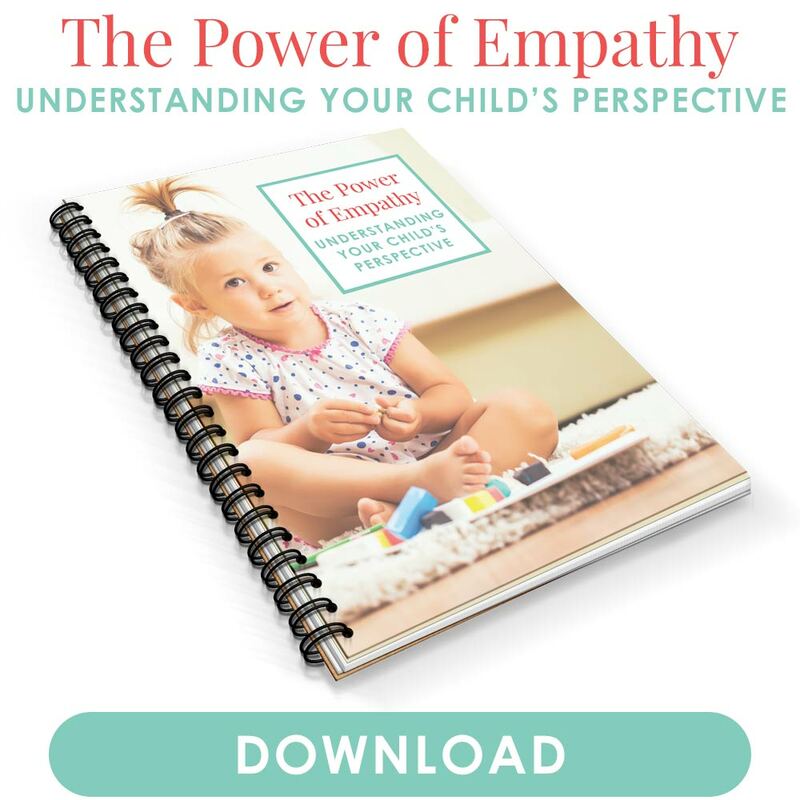 Download my PDF, The Power of Empathy! 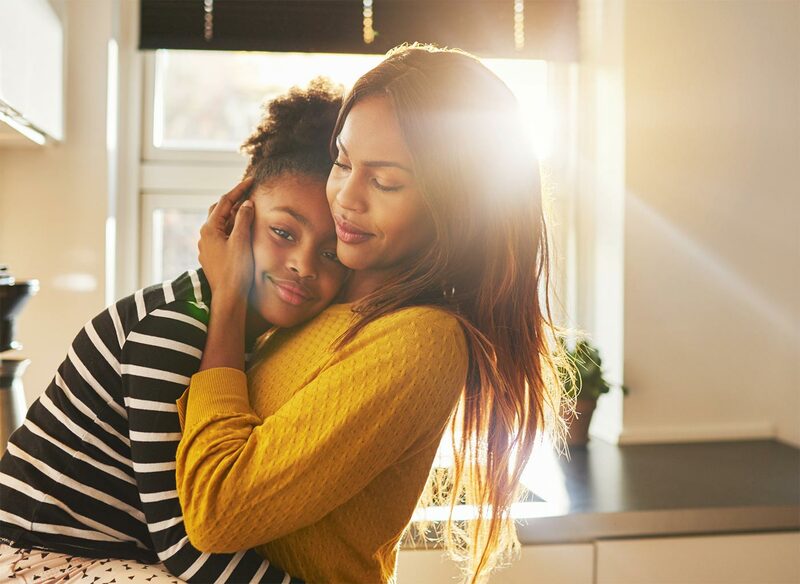 Learn how to prevent power struggles and instead better connect with your kids, all by understanding their perspective. Get it below—at no cost to you. “All I can say is WOW! You read my mind. My daughter has been fussy here lately. It can get overwhelming, but wow, your words exactly explained me. You helped me realize the issue I was having. I knew I had an issue but you helped see what I needed to do. Thank you so much!!! You don’t know how big of a blessing you have become in my life. Teaching me parenting skills to be a better parent! Thank you! !” -Jaime G.
It’s easy to be snarky, bossy, sarcastic, or disrespectful to our kids, in ways we would never want other to treat them. So why do we do it? Respect your child for being the unique person she is, not an extension of you. She’s a wonderful, independent person with a budding personality and her own tastes, likes and dislikes, wants and needs. You’ll clash over ideals and opinions, but it’s never a reason to treat your child any less respectfully. Powerful, isn’t it? And if the answer is no, then it’s time to change course. Read more about how to show respect to your child. A good mom knows how to be responsive and nurturing, but also show authority and sets high expectations. Kids need boundaries so they can explore within safe confines. When my little one started crawling, my pediatrician told me, “It’s your job to set boundaries and make your home safe, and it’s your child’s job to explore.” That advice goes well into toddlerhood and beyond. It’s our job as parents to provide resources and support so we can set kids up to learn and grow. Be consistent and follow through with consequences. Inconsistency will confuse your child. She won’t know what to expect and might act out even more, since her actions aren’t met with consistent discipline. Set your expectations, and make sure your child knows what they are. She can’t be responsible until she knows what’s expected. Give your child choices. 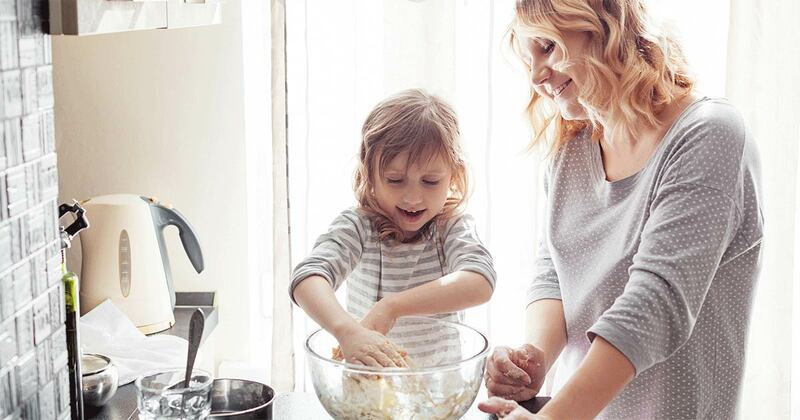 Choices will help empower your child and allow her to take ownership of her actions. She’ll be more inclined to comply if it was something she chose to do rather than something forced onto her. Get more tips about how to practice authoritative parenting. If you’re a control freak, this one may be tough to hear. We can raise our kids to follow values, but we can’t form who they are as a person. I have a friend who has three boys. Shortly after having her first, she and her husband were excited to get him signed up for sports. They dreamed of having him play every sport imaginable. Imagine their disappointment when he showed no inclination for sports, and would rather read a book. Her second one became more interested in sports. And her third… well, he wasn’t into either. My friend learned a valuable lesson: Forcing kids into interests, personalities, or hobbies that are more aligned with ours doesn’t respect their own passions and interests. Don’t judge her interests. She’s developing talents, passions, and interests. Foster them. Provide props to help her explore, whether in the classroom or outside. Buy supplies. Borrow books from the library. Take a nature walk. Work with her temperament, instead of forcing her to mold to yours. Read more about how to support your child’s interests. The other day, my son and I were busy scribbling in notebooks—he with his sketches and me writing notes for this article. So true. Kids don’t need a ton of things, but love is essential. It’s the language that reassures them they belong in this world and to your family unit. Love binds the unspoken words that say so many things, from reassuring a little scrape to filling his heart to the brim with “I-love-you-to-the-moon-and-back” LOVE. Convey to your child that you love him no matter what, even when he’s in the middle of a meltdown or when he makes mistakes. Remind your child you love him just for being who he is. Make sure he knows he doesn’t have to do anything to prove it. Just being born is enough to deserve love. Read more about showing unconditional love. I can’t think of any other time when being a mom is scrutinized the way it is these days. Motherhood is on display 24/7 thanks to social media, the news, even gossip. We wage mommy wars on one another, and hear differing opinions on everything, from everyone. Living in the information age has its perks, but you can have too much of a good thing. But in the midst of all the crazy, what makes for a good mother—and a good person—are the basic qualities to who we are. The qualities we’d want to pass on to our kids as well. Motherhood is like holding up a mirror that can highlight our best and worst selves. Let’s work on bringing out the best. Very well said! Being a mom is a tough job and we have to set ourselves to do the very best we could for our children. I’m far from perfect but I’m getting a little better everyday, a work in progress. Thanks for sharing this beautiful post Nina! You’re welcome, Veronica! Well said: it’s in striving to our our best and getting a little better every day that matters. I am a single mother. So now she is everything for me in this world. I just want to be the best mother and give her all the happiness a mother can give to her child. I follow your blogs and I think this blog will help me a lot. Wish me good luck! Fantastic, good luck Hannah! You’ve got this mama! Thanks, Sonali! I hope the tips come in handy. I love this article! It’s very true and helpful. Some days it’s hard to know if I’m doing it right. Though I know no parent is perfect everyday and everyday it will seem like there are parenting fails, but there can also be many successes. You are right everywhere we turn there is someone pointing their finger, judging and making parents feel less than for whatever reason. It can take time, but eventually people can learn to ignore those fingers and do what they know to be best for their child and family. Thanks, Shannon! I’m glad the article resonated with you. It’s so easy to doubt ourselves, especially with all those fingers pointing. AT the end of the day, the qualities we need are fairly simple and straightforward, and done with the best intentions for our kids and families. Their is really no way we can be good mothers without mentoring our children with great qualities you thoroughly dealt with. They are superb keys especially when backed up with prayers. They are really useful tools for me. I will share them with other mothers. Thanks and God bless your motherhood. Right on, Julianah, and thank you! It’s so too Estrella! And you’re welcome—I’m glad you enjoyed the tips. For even more tips, don’t forget to join the 5-Day Better Parenting Challenge! Nina thank you so much for your article it was very encouraging! Do you have an article for step-mothers as myself regarding parenting? Thanks so much for your kind words, Cristina! At this point, I don’t have an article on step-parenting, but thanks for putting it on my radar. I have a few contributors who write for the blog and I’ll keep an eye out for anyone who has experience with that topic and can write about it. In the meantime, have you signed up for the 5-Day Better Parenting Challenge? If you liked this article, the challenge gives even more actionable tips you can apply, stepparent or not. Hope you check it out! Thank you so much for the well written wisdom. Today is an exceptionally hard day and reading your article is just what I needed to hear. Thank you for putting down into words how I feel, as well as giving me suggestions on how to make things better. Oh Holly, thank you for your kind words! I’m so glad the article resonated with you and helped you when you needed it most. Big hugs! Hopefully the rest of your day went better. You’re welcome, Maria! If you’re interested in more, definitely check out my newsletters: https://sleepingshouldbeeasy.com/list Parents find a lot of inspiration and insights there. Oh, such a nice article. I agree with you on all points. It is such a wonderful time, the time you spend with your child. Mine is 3 years old and he us the miracle of my life. Sometimes I look at him, actualy daily and quite often, and just admire, without words, the miracle in him and the happiness in me. It makes me a complete person, with floeind rivers of love. Being my son’s mom is the greatest honour and the most pleasant “job” God gave me on Earth. Yes, above all things, it is the Love for our children.